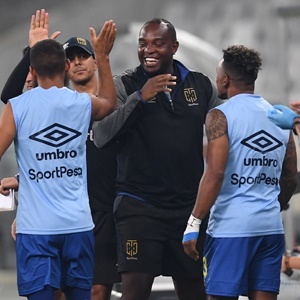 Cape Town - Cape Town City have backed their Absa Premiership championship aspirations with yet another achievement after they were announced as the Absa Premiership Q-Innovation Quarter Three winners. This is Cape Town City’s first Absa Premiership Quarter prize – another historic achievement for 'The Citizens'. In Quarter Two, Cape Town City were flirting with victory only to fall away on the last hurdle to Mamelodi Sundowns. - Each side that wins a Quarter gets R1, 5 million in prize money. - Quarter One (8 Fixtures), Quarter Two (7 Fixtures), Quarter Three (8 Fixtures), Quarter Four (7 Fixtures). - Bidvest Wits won Quarter One with 16 points from eight matches. - Mamelodi Sundowns won Quarter Two with 17 points from seven matches. - Cape Town City won Quarter Three with 16 points from eight matches.